Although currently not accessible, trails will remain open during installation. The trail will be built in sections. Signs will be posted along those sections of trail that are under construction. Trail work is anticipated to take a few months. There will be volunteer opportunities available as trail installation progresses. Watch for these volunteer opportunities on social media or sign up to receive newsletters here at the FEC website. April 2017 Reforestation Project Underway! 3,000 tree seedlings were hand planted along Swan Blvd. You are invited to attend an open house scheduled to provide an update on plans for the Forest Exploration Center on Monday, June 27, from 6 to 8 p.m. at Camp Willoway (10602 Underwood Pkwy in Wauwatosa). 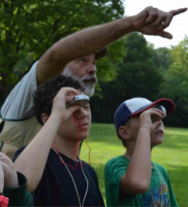 MILWAUKEE- As planning continues on development of the Forest Exploration Center, the center will conduct an open house on Monday, June 27, from 6 to 8 p.m. at Camp Willoway, located at Willow Way Underwood, 10602 Underwood Pkwy, in Wauwatosa. • an accessible trail through the woodland; and, an entry road, parking, and stormwater management features on the site currently used by the Wisconsin Department of Transportation. Representatives from the Wisconsin Department of Transportation will be available to provide information about the highway projects and their use of the center’s future site. The Forest Exploration Center is a non-profit organization in joint partnership with the DNR Division of Forestry. The DNR and the center are committed to using recreation and education to increase awareness of trees, forest ecology, and the benefits that come from the practice of sustainable forestry. A building will be constructed to house the center. This open house is just the latest in a series of public meetings concerning plans for the center, according to Wendy McCown, DNR director of forestry business services. “The DNR and our stakeholders made a commitment to keep the public informed at regular intervals as this process moves forward. This open house is just one more example of our public outreach and education activities,” she added. The FEC is in the process of developing a sustainable and accessible trail system in the Woodland using as many of the"volunteer" trails that currently exist and with minimal impact on the landscape. We will take care of erosion and water issues, develop and install boardwalks and overlooks where necessary and create engaging self guided interpretive experiences and seating areas for education and nature study within the hardwood forest. Access to the Woodland from Wil-O-Way Recreation Center requires a short walk through Milwaukee County Park Land. We worked with our Milwaukee County Park Partners to develop an easement so our visitors can access the FEC Woodland from that side of the forest. Thank you Milwaukee County Parks! The Woodland is DNR forestland? The Forest Exploration Center and the Wisconsin DNR have a Public/Private partnership to make this 50 acre gem a model of sustainable forestry and educational outreach. Sites like the Woodland- well there simply isn't anything like this in an urban setting anywhere else. A high quality hardwood forest in the middle of the city. I think you have an appointment...with a tree. 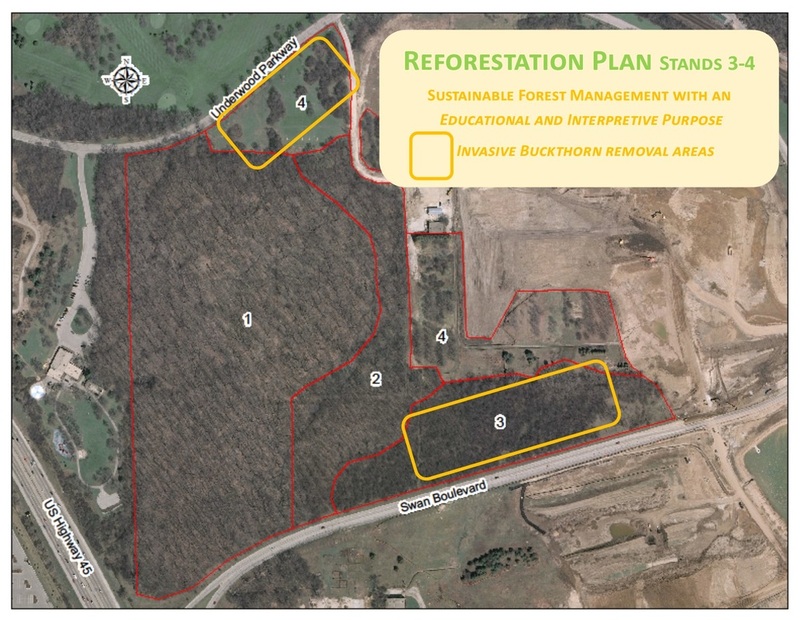 FOREST RESTORATION has begun within forest stands 3 (along Swan Blvd and) and 4 ( along Underwood Creek Pkwy). Removal of the invasive woody shrub called buckthorn was the big first step. Invasive buckthorn is cut and mulched, leaving mature trees intact. Invasive buckthorn was taking over sections 3 and 4 of the forest. Once the removal is complete, watch for reforestation of conifers and the development of an interpreted arboretum that will feature trees of Wisconsin. Wondering what those nest boxes are for in the woodland? "We won't have to fundraise for doing those infrastructure improvements,"
said Tom Gaertner, who is on the FEC board of directors. We are working closely with our partners at the Departments of Transportation and Natural Resources to improve public access and trail connectivity to The Woodland. The expanded use of the non forested areas of the site will be contained to a five acre pre-approved portion of the 67- acre WDNR Forest Exploration Center property outside of the high quality mature woodland. 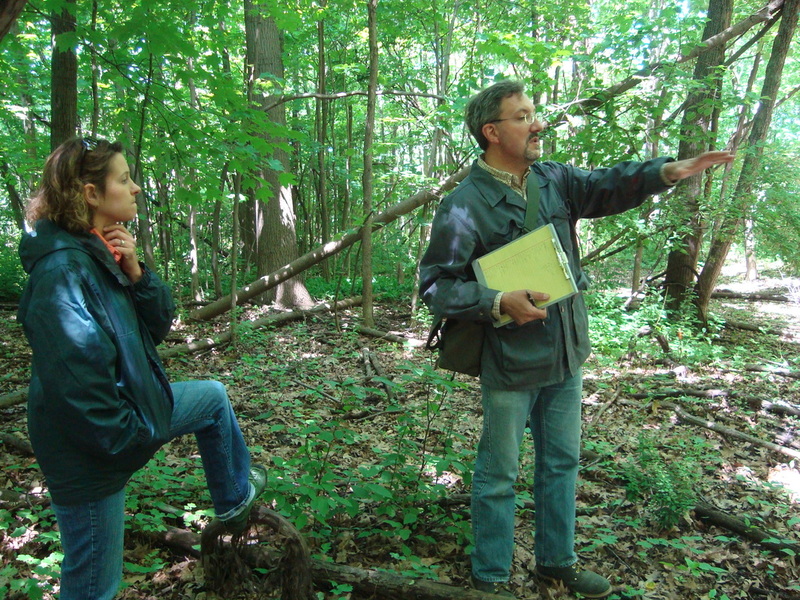 Portions of the former Milwaukee County nursery stock will be preserved for interpretive use. WDNR and our Forest Exploration Center staff worked with WisDOT to ensure that the access drive is situated in a location that is least disruptive to the natural resources in the area. The narrow section of forest along Swan Boulevard that will be impacted by the access drive is primarily comprised of non-native, invasive buckthorn. The creation of the access drive in this location reduces the amount of buckthorn that will need to be removed in the future. Ground-disturbing operations would be avoided on the site between August 15th and October 15th to address concerns during Monarch migration.